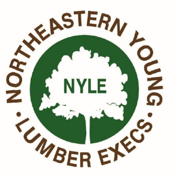 Northeastern Young Lumber Execs (NYLE) was founded in 1986 and is sponsored by the Northeastern Retail Lumber Association (NRLA). It is comprised of enthusiastic and dedicated young professionals, committed to promoting the continued success of our industry and developing their own potential. Members of NYLE include yard and sales personnel to managers and owners who have or whom are seeking to make a career within the lumber and building material industry. Members are chosen by their employers based upon their potential for growth. The two requirements for membership are (1) the potential member must be 40 years of age or younger, and (2) their company (either retail or associate) must be a member, in good standing, of the NRLA.